There is nothing like a cold drink in the summer. 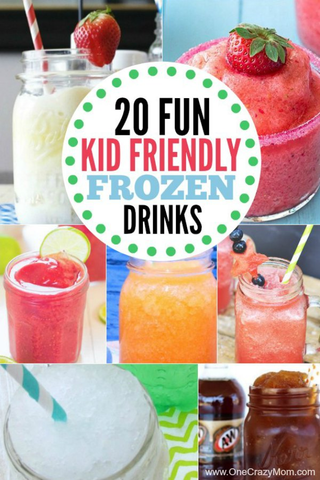 Whip up these kid friendly frozen drink recipes for a fun way to beat the heat. They are quick and easy and so good! I love laying in the backyard and relaxing with a cool frozen drink during the summer months. 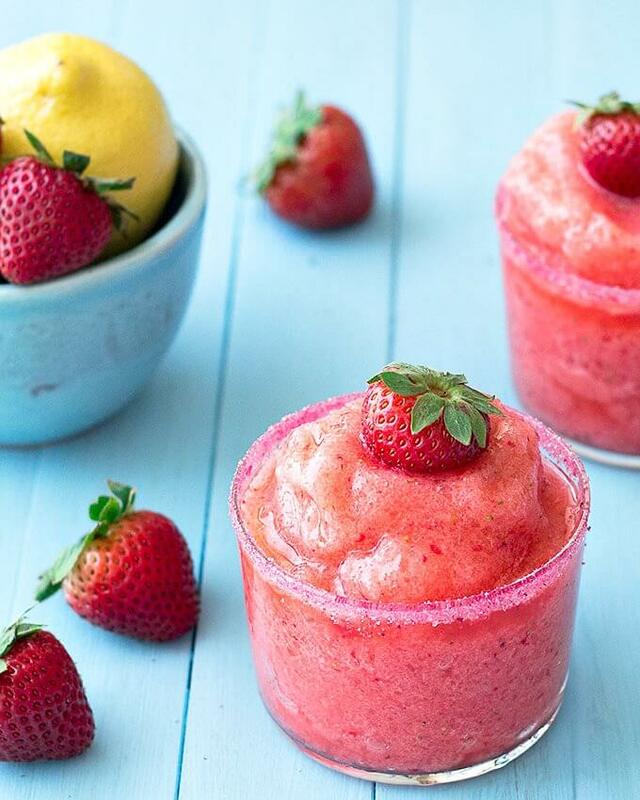 Whether you want a smoothie, slushie, slurpee, or even an ice cream float, you need to try one of these frozen drink recipes this summer. There is something for everyone! Even better, these tasty treats are frugal and can be ready in minutes! You probably already have many of these ingredients on hand. I bet you can blend one of these drinks faster than you can go buy a summer drink. Plus, you will save money too! 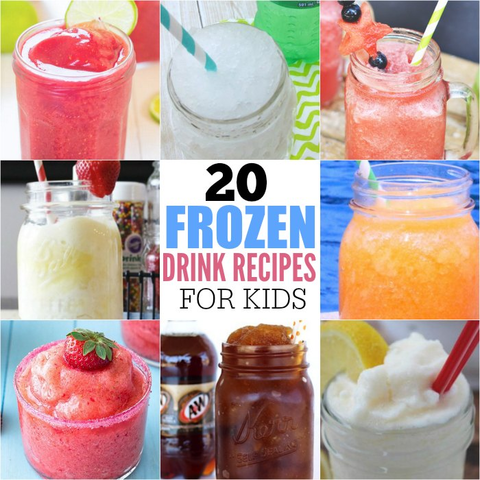 You need a good blender for these kid friendly frozen drink recipes. I really like my Vitamix blender. We’ve used it for years and years and it’s held up great. These are not cheap but they are worth every penny. Mine is really old and it’s still going strong. I have no trouble blending anything. It is quite the investment to get one, but it is one investment that won’t disappoint. It will be the last blender you ever had to buy. Amazon has several of them on sale right now for a great price. Now if a Vitamix isn’t in your budget, then I recommend a Waring professional blender. They are going to get the job done and you can get them for as low as $50. Now they are not as great as a Vitamix, but they are the next best for a much more reasonable cost. Amazon has several Waring blenders on sale right now. I also use this blender to make this Easy Fruit Smoothie Recipe. We are always making something! 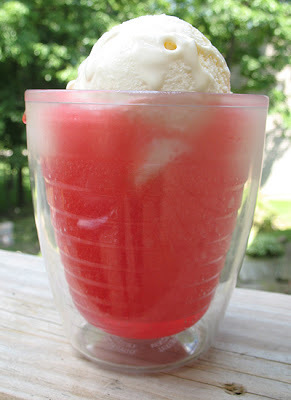 Homemade Slushie Floats– They are refreshing and tasty and a fraction of the cost of a Slurpee or Dairy Queen. Don’t spend of tons of money when you can make these at home. Frozen Strawberry Lemonade– This frozen strawberry lemonade is so easy to make, full of fresh strawberries and tart lemons. Not too sour or too sweet, just perfect! It’s a great blend of sour and sweet! Yogurt Strawberry Banana Smoothie– Made with Greek yogurt to pack an extra protein punch for your kids! I love that you can get all this protein in one smoothie! 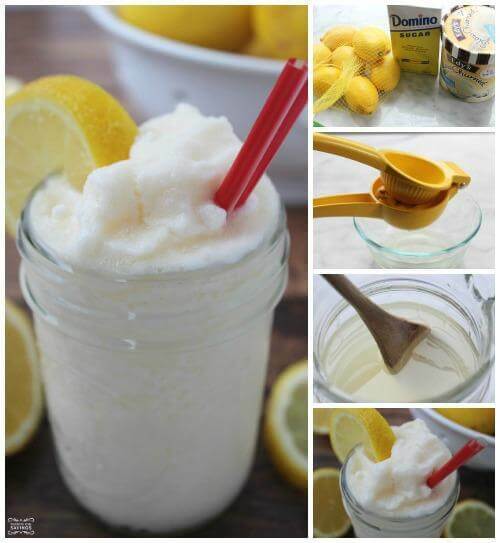 Frosted Lemonade– This is a great summertime frozen drink recipe, or you can make it any time of the year! It’s so frosty! 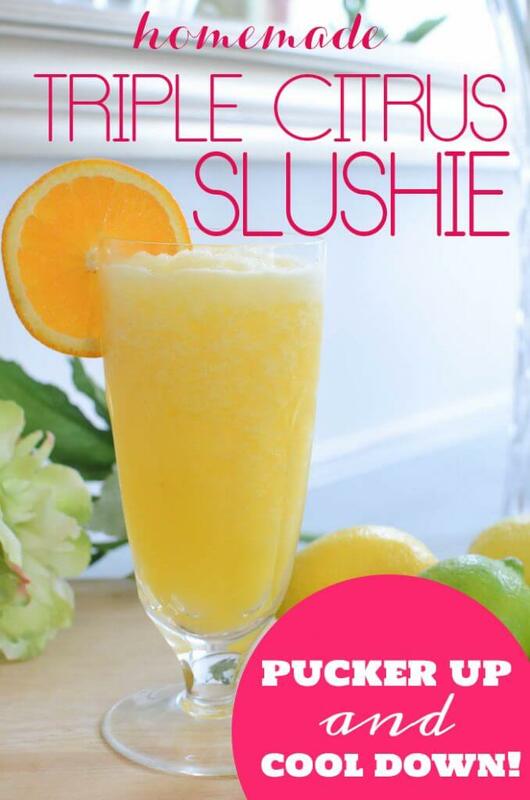 Triple Citrus Slushie– Get ready to pucker up with this delicious triple citrus slushie. The citrus is so refreshing. 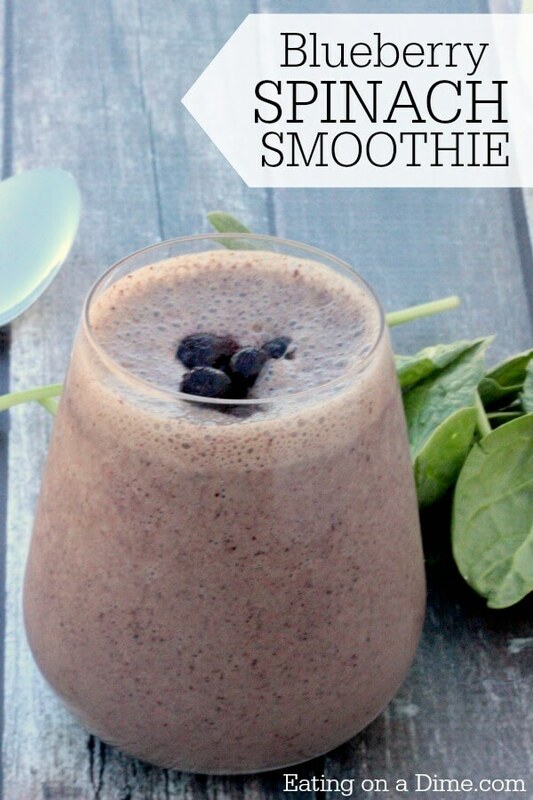 Blueberry Spinach Smoothie– Spinach is so healthy for you and I love adding it to my smoothies. It blends up nice and smooth. Plus, when it’s blended up with a fruit like blueberries, it is even undetectable for my kids. 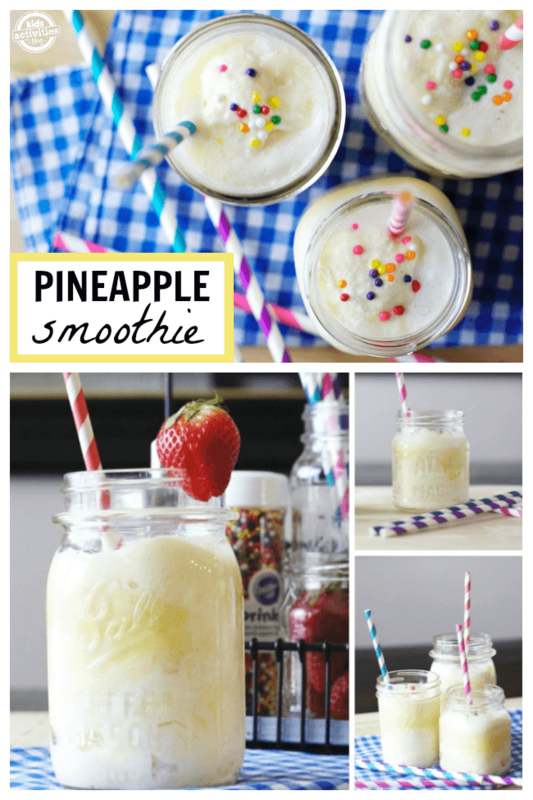 Frozen Pineapple Drink– This delicious pineapple drink is Disney inspired and sure to be a hit with your kids this summer…or anytime. If you love dole whips at Disney W World, give this a try. 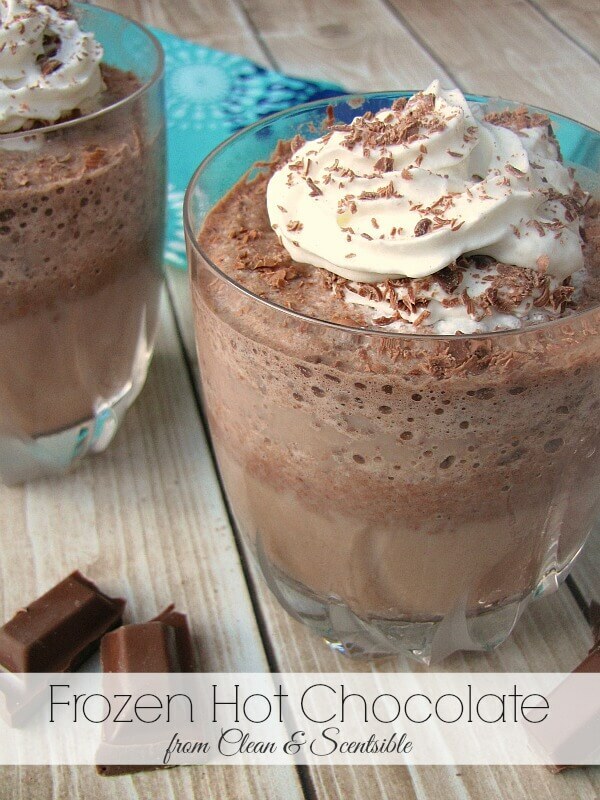 Frozen Hot Chocolate– These frozen hot chocolates are the perfect way to cool down on a summer day and so tasty! All the yummy things you love but in a drink perfect for Summer. How to Make a Slushie with Kool-aid Mix– How refreshing does this slushie made with Kool-aid look?! I want to try out all the flavors! Let the kids choose the flavors and they will love trying new things. 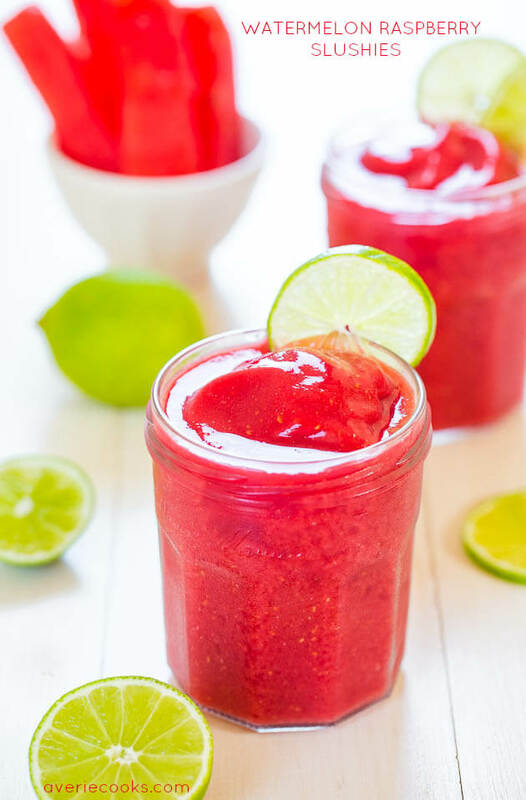 Watermelon Raspberry Slushies– The refreshing slushies combine two of my favorite summer fruits, watermelon and raspberries. A bit of lime juice adds a zingy twist. 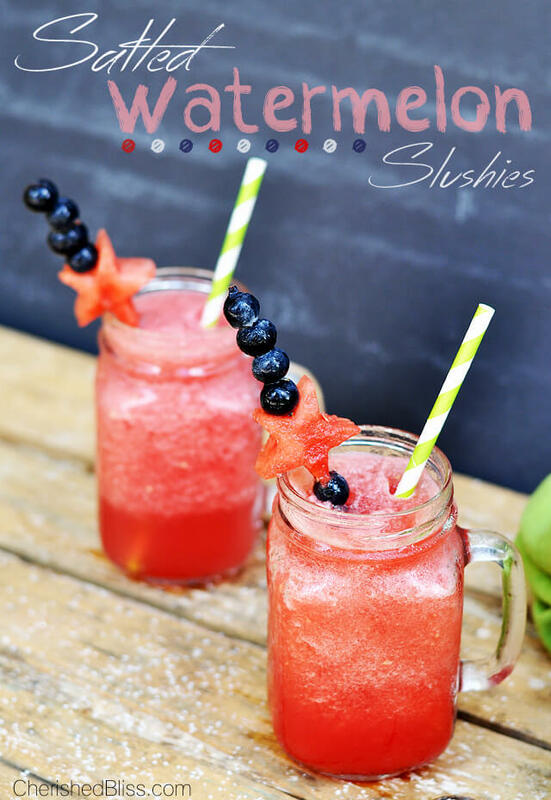 Sparkling Strawberry Slush– This sparkling strawberry slush is the perfect summer drink – it’s so tasty and refreshing and is a favorite with both the kids and the adults. This is a hit all around. 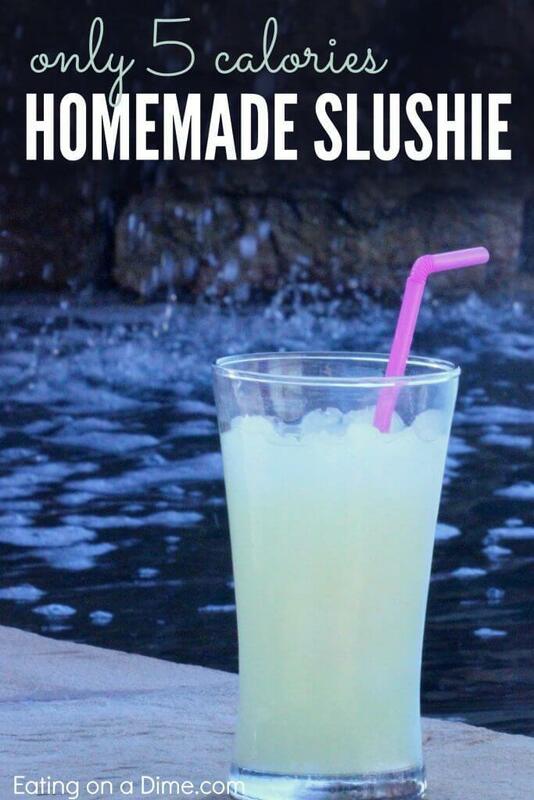 Low Calorie Slushie Recipe– Craving a cold sweet drink without all of the extra calories? 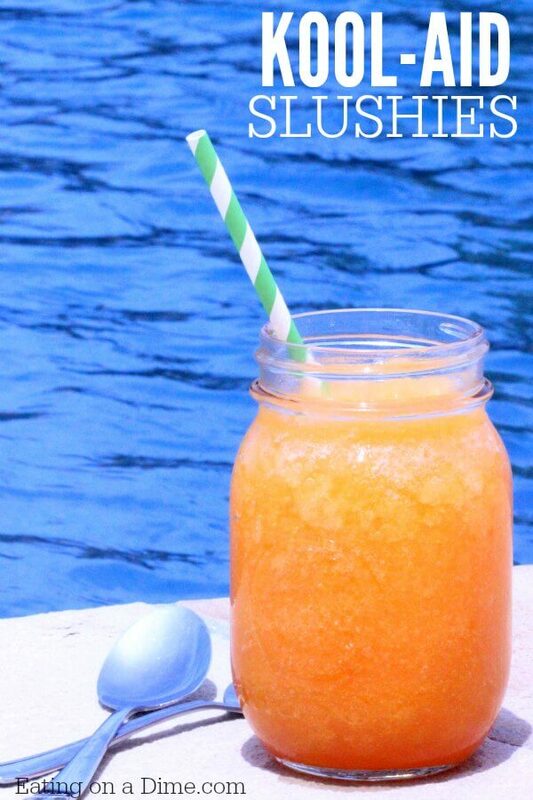 Make this slushie that only has 5 calories a serving! Perfect if you are counting calories. 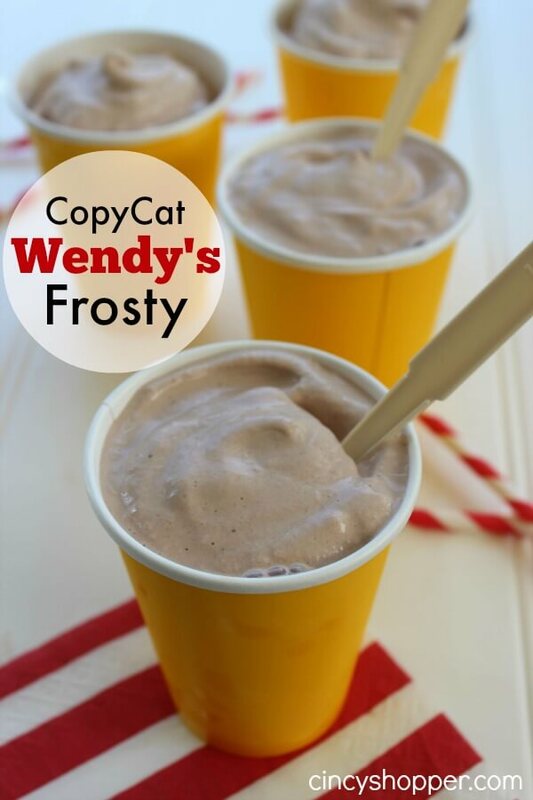 Copycat Wendy’s Frosty– This CopyCat Wendy’s Frosty Recipe is so simple and is great for having a cold treat at home. This tastes just like the real deal! 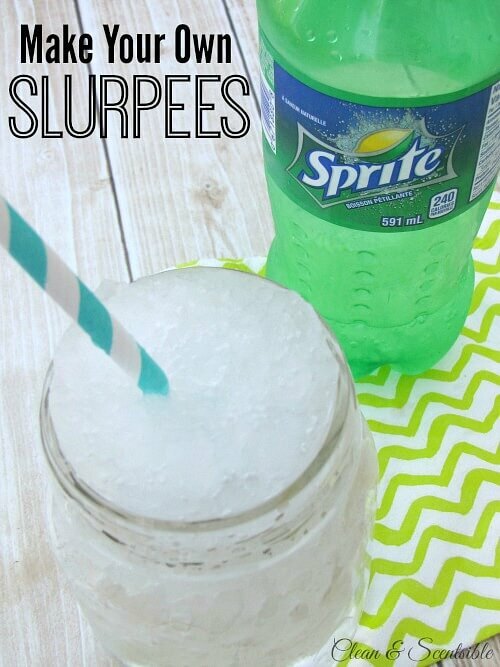 DIY Slurpees– This would be a great project to do with the kids during summer break, and the whole science behind it would be a fun idea for older kids to research. 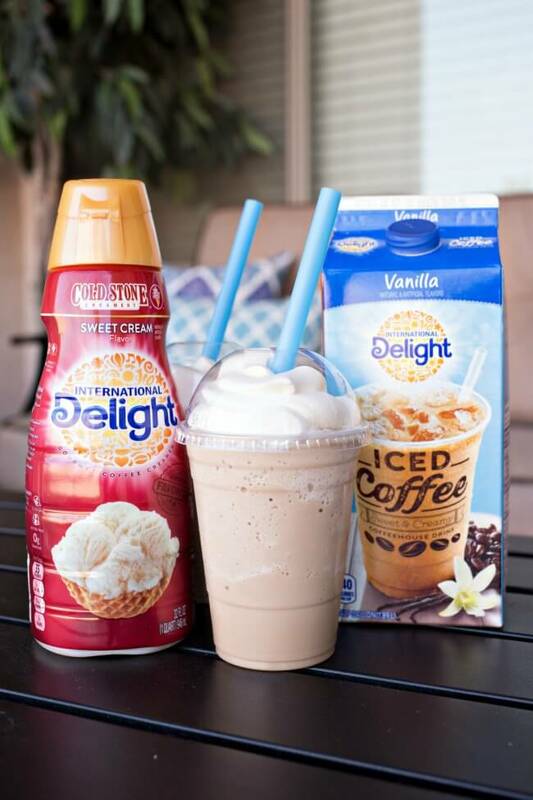 Homemade Frosted Coffee– This is the perfect frozen treat for summer mornings. 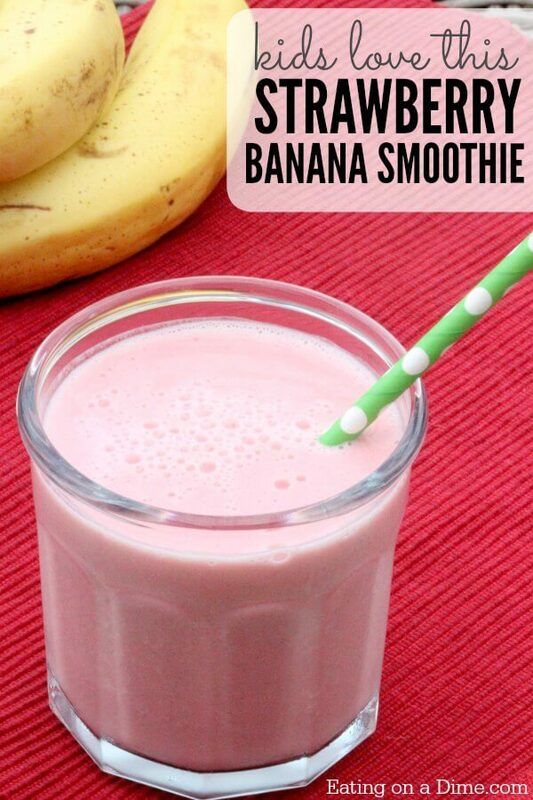 I love this blended drink idea. 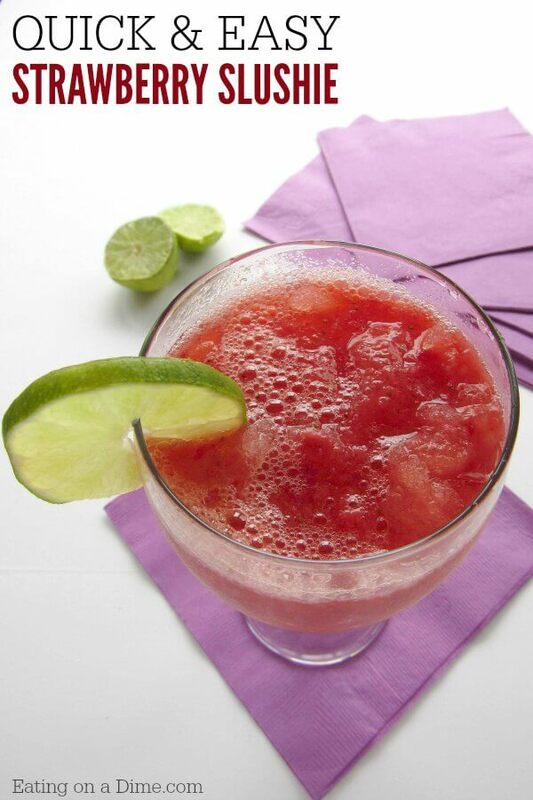 Watermelon Key Lime Slushie– This drink would be great to serve up at a barbecue, wedding, birthday party, and even baby shower! Quick and Easy Strawberry Slushie Recipe– Adults and kids alike will love this easy slushie recipe! I love that it uses strawberries and ginger ale. Root Beer Slushie– Get ready for some ice cold nostalgia when you make this super yummy Root Beer Slushie Recipe! 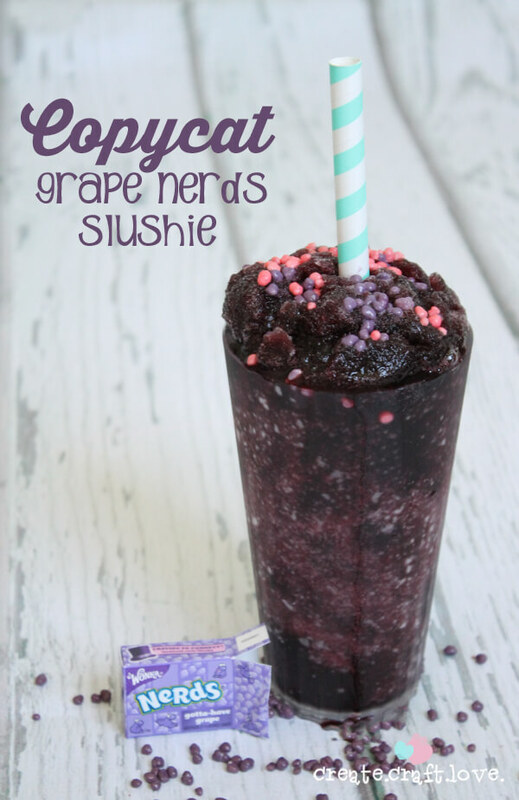 Copycat Grape Nerds Slushie– If you like nerds, you need to try this slushie! It’s a little tart, a little sweet and a kid favorite for sure! Salted Watermelon Slushies– These slushies are perfect for an outdoor gathering when the heat is on! 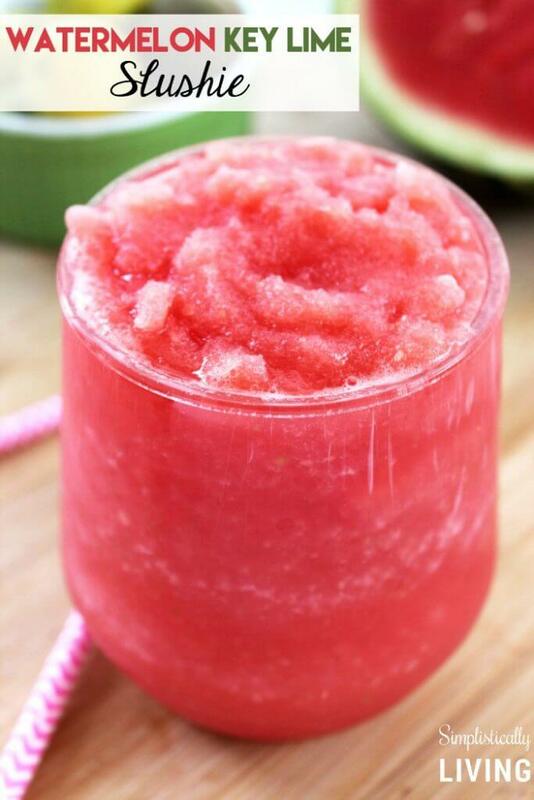 Watermelon is perfect for a hot summer day. 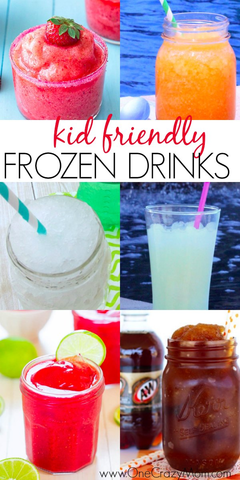 Cool down with these kid friendly frozen drink recipes! These all look so good it will be hard to choose which one to make first. You will be staying cool all Summer long with these delicious treats! I like to use fun straws with these drinks. It’s totally optional but they are so fun! I ordered Chevron Straws last time and they are a big hit! Such a nice touch to these delicious drinks. I love being able to stay cool and beat the heat with these tasty frozen drinks. No need to spend a fortune and everyone will love these fun ideas. You will be trying fun drinks all Summer long. Let us know what you try! Everyone will enjoy these non-alcoholic frozen drinks! Let us know which non alcoholic frozen drinks you make!